The Tancho Kohaku a prized koi fish sure to please! White, the color of purity, clarity, and cleanliness; is also a total reflection of all color. White brings a sense of peace, comfort, and cleanliness; with feelings of a fresh outlook and new beginnings. These qualities are agreed upon almost universally. Red on the other hand is a fierce and powerful color, proven to increase blood flow and excitability. Red of course is associated with love and danger as well. The color red is culturally significant from the most primitive of societies to modern world powers. 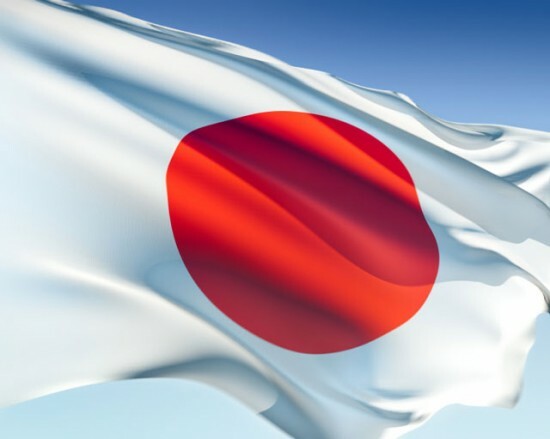 The use of theses colors is especially recognizable in cultures such as Japan where their national flag is very simply a red circle on a white background. The white color of their flag representing honesty and purity; while the red color represents the sun and the qualities of hardiness, bravery and valor. 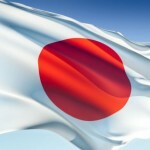 Red and white in Japanese culture is important for more than just their national colors. The combination of red and white colors are used for happy and auspicious occasions such as weddings. Long red and white curtains are tradition at weddings, red and white ornaments are used when giving gifts. This important color combination of red and white in Japan is called kohaku. For the Japanese koi enthusiast kohaku takes on an entirely different meaning since it describes one of the most recognizable classic varieties of koi. The variety that boasts the bold colors of red and white; hence the name kohaku. Kohaku are one of the 3 varieties along with Showa, and Sanke that make up the Gosanke type of koi. There are many combinations of koi that can be described from the Gosanke but probably one of the most sought after variety is called Tancho Kohaku. Some say that the Tancho is not Kohaku, it is simply Tancho, but for now we’ll consider at it as Tancho Kohaku. Like the Japanese flag the Tancho Kohaku has a pure white background with a bold red circle adorning it. This resemblance to the national flag makes this fish very endearing to Japanese koi enthusiasts. 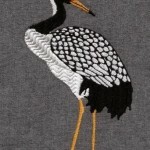 And the fish gets its namesake, Tancho, from a beautiful bird named the Tancho Crane found in Japan. The Tancho Crane is very rare, stands 5 ft. tall, and is mostly pure white with some black, and it too has a large red crest on its head. 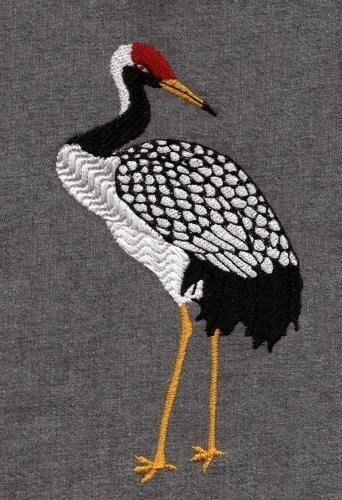 The Tancho Crane folk lore says it brings great luck and longevity; and can live up to 1000 years. The Tancho Crane is a striking looking bird to any eye, just as the Tancho Kohaku is a striking looking fish no matter if you are a fish enthusiast or not. Its elegant beauty is undeniable. 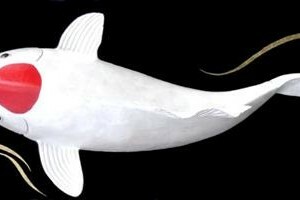 For the breeders of Tancho Kohaku they are seeking a white that is as pure as mountain snow (really! ), and a red like the burning sun. Unlike other varieties of koi the traits of the Tancho cannot be bred into the koi. 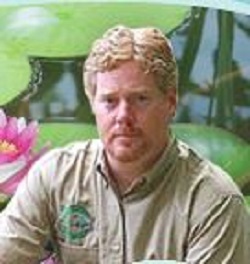 When these varieties occur they are purely by chance, and can come from many combinations of koi variety’s spawn. This inability to “fix” this trait into a breed make the perfect Tancho Kohaku a rare find that is hard to reproduce. A good quality Tancho Kohaku should have flawlessly white skin over the entirety of its body with no other markings, a broad forehead is a better display for the crimson red circle that ideally will bright and thick. The circle should be well centered, have very clean edges, and not “bleed” out. It should preferably spread from eye to eye but not extend into the eye area, nor extend back beyond the shoulders or into the nose area. A “perfect” Tancho is not an easy find and may come with a hefty price tag. Some other shapes such as a heart shaped crest have become a hobbyist favorite as well, even drawing tourists to come see them. Maybe a little known practice of “helping” out the shape of the circle or heart comes into play at times, but more likely for the big ticket koi. A little bit of work with a scalpel will also yield a very nicely shaped crest, but for the average fish keeper and enthusiast this is not much of a concern. However, if you just spent $10K dollars on a Tancho Kohaku, this is some information you may want to know! Although, the Tancho Kohaku may seem like it needs special care or attention it does not. It is an easy to care for koi, gets along fine with all other koi, it is not prone to problems any more than any other koi. Its growth rate is in line with most other koi, and loves the same food as other koi as well, although a good quality color enhancing food can help maintain that bright red crest looking its best. Although the Kohaku has become the iconic image of the tancho crest, this characteristic also appears in Showa, and Sanke with great effect. Who doesn’t love a bright red dot on the forehead of their fish? This trait is certainly beloved in the koi world and it is a great addition to any koi collection that will surely be a conversation piece with an interesting story behind it. Now that you know a bit more about the significance of the Tancho Kohaku from it’s colors to its pattern, it may be a fish for you to keep a watch out for to add to your koi pond. The Tancho Kohaku is sure to please! Check out this cool video of Koi fish feeding time! CLICK HERE! !